The EchoStar 105/ SES-11 satellite has been successfully launched on a SpaceX Falcon 9 rocket from the Kennedy Space Center in Florida at 00:53 CEST, 10-12-17 — this is the second time SES has launched on a flight-proven Falcon 9 rocket and the fourth launch with SpaceX — SES also happens to be the first commercial customer to launch on a Falcon 9, with that occurring in 2013. 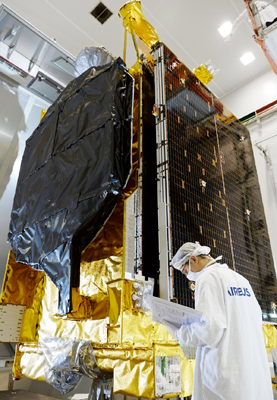 Built by Airbus, EchoStar 105/ SES-11 is a dual-mission satellite, providing SES with a C-band payload of 24 transponders of 36 MHz, owned and operated by SES, marketed under the name SES-11, and EchoStar with 24 Ku-band transponders of 36 MHz, marketed as EchoStar 105. The high-powered communications satellite replaces C-band capacity for AMC-18 and Ku-band capacity for AMC-15 at the 105 degrees West orbital slot. EchoStar 105/ SES-11 is successfully launched on SpaceX’s Falcon 9. Photo is courtesy of Business Wire. SES-11 is designed to accelerate the development of the U.S. Prime video neighborhood and the delivery of HD and UHD channels. The satellite offers comprehensive coverage over North America, including Hawaii, Mexico and the Caribbean. The satellite's C-band capacity is optimized for digital television delivery and will join SES-1 and SES-3 at the center of SES’s North American orbital arc, which reaches more than 100 million TV homes and 100% penetration in the US. SES-11 will be used for the expansion of SES’s North America Ultra HD platform, which hosts the world's largest UHD bouquet of 10 Ultra HD channels and reaches a combined audience of more than 10 million subscribers. The satellite will also enable business and government customers to expand their reach across the region. The EchoStar 105/SES-11 spacecraft, built by Airbus Defence and Space for EchoStar. Photo is courtesy of Airbus. Martin Halliwell, Chief Technology Officer of SES, said that the successful launch of SES-11 further strengthens the center of SES’s North American orbital arc and enables us to continue to provide a premium C-band service to the leading cable operators across the US. 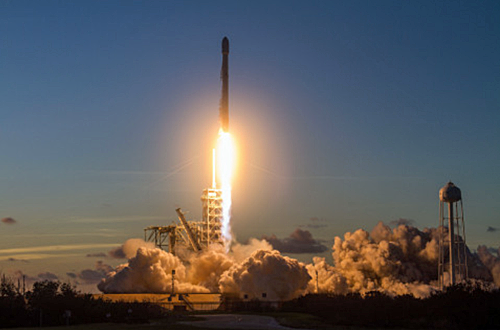 The company is also proud to launch on another SpaceX flight-proven Falcon 9 rocket and to continuously participate in innovative technology developments within the launch industry.